Chance to Win a 1000 Dollar Scholarship! With the growing interest in social networking, it is no surprise that pretty much anything and everything can be discovered, shared, exchanged and distributed through the social media; it has opened the doors for people all around the world to unite and learn, filling up a void that existed in the online world a few years ago. So when I received an invitation to join NAPW, read about this institution, and spread word about their upcoming scholarship if I found it to be worthy, I thought it legitimate enough to give it a shot! As an active member of LinkedIn, SWE and BlogHer forums, supporting any and every cause that gears towards education and upliftment of women is something I take as a personal priority. NAPW, which stands for The National Association of Professional Women, is a dynamic and highly inclusive woman's association that brings together thousands of accomplished women, from businesses large and small. Through networking with other members, professional women are enhancing their knowledge, improving their skills and sharing insights about becoming more productive and resourceful. 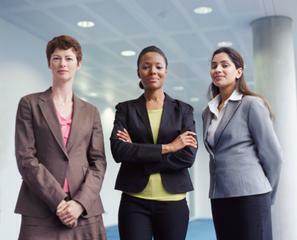 As the fastest growing professional woman's association in the nation, NAPW satisfies the needs of its members for powerful business growth and effective professional and career development through interactive online networking forums, local face-to-face chapter meetings with other members, access to local and regional seminars, web-seminars, podcasts and keynote speakers. As a small-scale entrepreneur myself, I thought it was my responsibility to share with you this unique opportunity to win a $1000 scholarship for yourself. To promote successful careers for women, each year the NAPW awards 5 aspiring young women a $1000 scholarship to use towards their college tuition. The Rising Stars NAPW Education Scholarship is designed to help deserving students attain their educational goals, meet their professional objectives, and succeed to their fullest ability. So if you think you have what it takes to be a rising Star, take a minute to hop over to the NAPW website, learn about membership benefits, and how you can participate to win this scholarship. Educating a woman, is educating an entire household, so I truly support this great endeavor that NAPW has undertaken. If one of my blog readers gets to be one fo the 5 lucky scholarship winners, I would be proud to the brim!! Hail to Women's Education, and Happy Friday folks!